If you’ve been researching ways to upgrade the outdoor spaces around your home, you’ve probably read about how concrete features can make a big difference. Whether you choose to install concrete walkways, patios, or other features, you’ll add value and beauty to your property. Stamped concrete is another way that concrete contractors in the Rock Hill, SC and Charlotte, NC area can make your home stand out from the rest. Here’s what you need to know about this technique. First of all, let’s define what stamped concrete actually is. Stamped concrete is a type of decorative concrete that’s been shaped, patterned, and/or colored. The end result is that it resembles something other than traditional, plain concrete. How does a concrete contractor accomplish this? There are specially-designed molds and stamps that are pressed into the wet concrete before it dries. Professional, reputable contractors will have exactly the right tools to make these areas look great and last for years to come. And there’s more good news: Your options are only limited by your imagination. 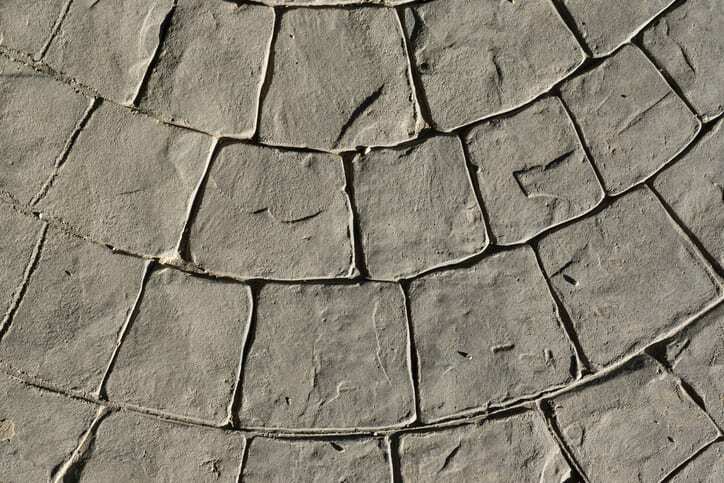 Stamped concrete can be shaped to resemble a wide variety of other building materials. This includes brick, natural stone, ceramic tile, or even wood. Because of its versatility, it’s ideal for beautifying all types of spaces. Our team routinely uses concrete stamping on driveways, patios, pool decks, and walkways. Got another concrete surface where you’d like to use stamping? Just give us a call and we’ll come out to your home for a consultation. As you can see, there’s more than meets the eye when it comes to concrete. This material may seem boring, but there’s no end to what a qualified concrete contractor can do with it. That’s why you need to call GW Brockelbank Concrete Contractors. We’ve offered complete concrete services in North Carolina and South Carolina for 40 years. Call us for a free quote and see why so many homeowners have trusted us for their decorative concrete work. GW Brockelbank Concrete Contractors offers a full range of concrete services in Charlotte, Rock Hill, Fort Mill, Indian Land, and surrounding areas of North and South Carolina. Contact us for a free quote for concrete stamping, staining, driveways, walkways, patios, and more. Is Your Decorative Concrete Ready for Winter?